Tyler Enyart and his wife moved to Westfield 1 1/2 years ago and immediately fell in love with the community. Their twin children, Audrey and Zach, are first-grade students at Washington Woods Elementary School. Enyart organized a meeting between WWES administrators and said because of his love for the community, he wanted to get more involved. “What better way than through the school? I want to start a dads’ group,” Enyart said. They were all aware of All Pro Dads, a national organization that encourages father figures to be involved in their kids’ lives and be good role models. Former Indianapolis Colts Coach Tony Dungy is a national spokesperson for the organization. “We said, ‘Let’s try starting an All Pro Dads chapter. They do a great job in providing that platform and curriculum and everything for you,’” Enyart said. 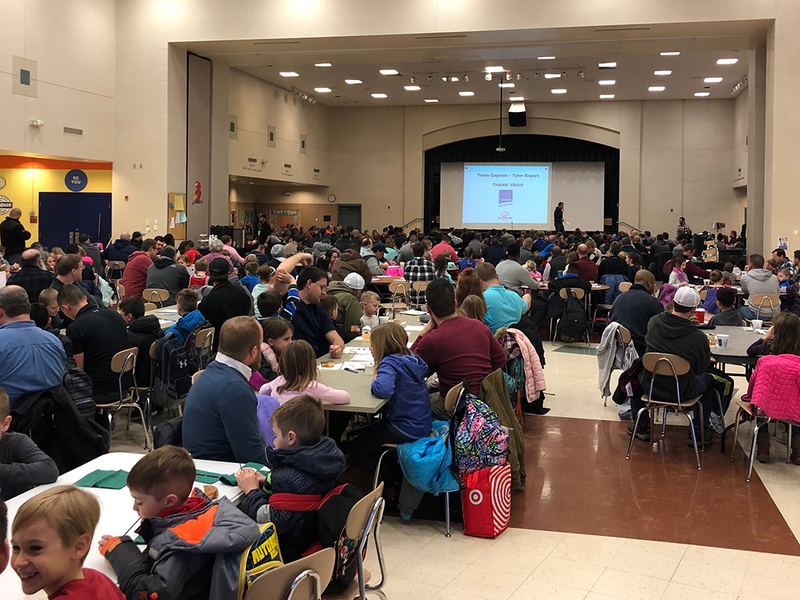 Enyart spoke with the organizers of the two other All Pro Dads groups in Westfield, one each at Carey Ridge and Oak Trace elementary schools. Those organizers told him to expect 25 or so people at the first meeting, a Jan. 18 Donuts with Dad event. Instead, approximately 400 dads and kids attended. Centier Bank provided donuts and Sodexo provided drinks. Enyart and the WWES administration are working on forming a plan of what the WWES chapter of All Pro Dads will look like. The next meeting is tentatively planned for March. For those who wish to be involved, email Enyart at tyler.enyart@gmail.com.